Don Moore, Retired Lawyer, Currently a Writer – Don, along with Jay is a founder of HDF. Professionally, Don practiced law for 35 years and in the past several years has redirected his efforts as a celebrant of life in Boulder. In the ‘second half’ of his life, Don is passionate about being of service to others, both at home and abroad. 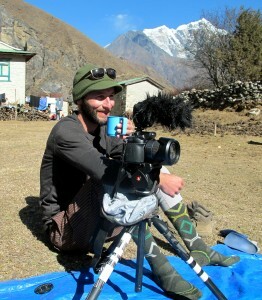 In the Fall of 2009 he spent five weeks in Nepal where he met Jay on an organized trek. Toward the end of the trip, the two of them spent a week in Chhulemu staying in the homes of villagers and doing service work in the Village school and in the school in nearby Nunthala. The entire trip was life transforming for Don and out of that experience, he and Jay decided to further their efforts by forming and operating HDF. 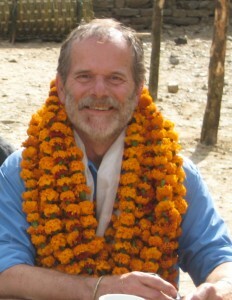 Don is the president and member of the board of directors of HDF. J.J. McMahon – Jay graduated from the University of Arizona and then off to graduate school, earning a Masters in Organizational Management. Jay had the great fortune of meeting Don in 2009, when they were both part of a humanitarian/trekking expedition to the remote Solukumbu region of Nepal. Jay’s volunteer/group related experience includes: working with children in both peer and youth settings, as well as with the Adopt-A-School Foundation, Phoenix Children’s Hospital, and the National Veterans Cemetery. Jay was the recipient of the BRIDGE Award, for his volunteer work with the Department of Veteran Affairs, AASK (Aid to Adoption of Special Kids) and the Friends for Life Animal Sanctuary. Jay currently works in southern Utah as an outdoor adventure guide. Linda Sollars, Commercial Airline Pilot –-After enjoying a decade long career in financial services, Linda turned her hobby, flying airplanes, into a career. She has held leadership and line positions in both the Financial Services and airline industries and currently flies Airbus 320s for a major US airline. In addition to her flying, Linda has worked in safety and future aviation technology projects in the US and in India, and is an International Adjunct Faculty member teaching Airline Management to college students in Hyderabad India. Her volunteer work includes helping children in coal mining counties in West Virginia, archeological work in Kuria Kenya and London England, and various aviation related efforts including being a founding member and current director of the Association of Women in Aviation Maintenance (she is also an airplane mechanic). She is honored to join the HDF team as a Director and is excited to join the mission to bring skylights and uniforms to Taksindu schools. Jesse Shoemaker, Videographer and Philosopher–Jesse traveled to Nepal in the Fall of 2014 and trekked with a group to Kala Pathar; a trip organized by Karma Sherpa. As fortune would have it, Jesse met Don and Jay during this trip, and trekked together with them over three short- but meaningful- days to Chhulemu. This included bearing witness to the results of Skylights for Schools project and the launch of Toilets in Taksindu. After returning to Colorado with the immensity of the experience stamped into his spirit, Jesse gratefully accepted an invitation from Don, Jay, and Linda to join the Board of HDF. Jesse feels driven by a sense of captivation with the natural world and it’s reflection and impact on humanity. 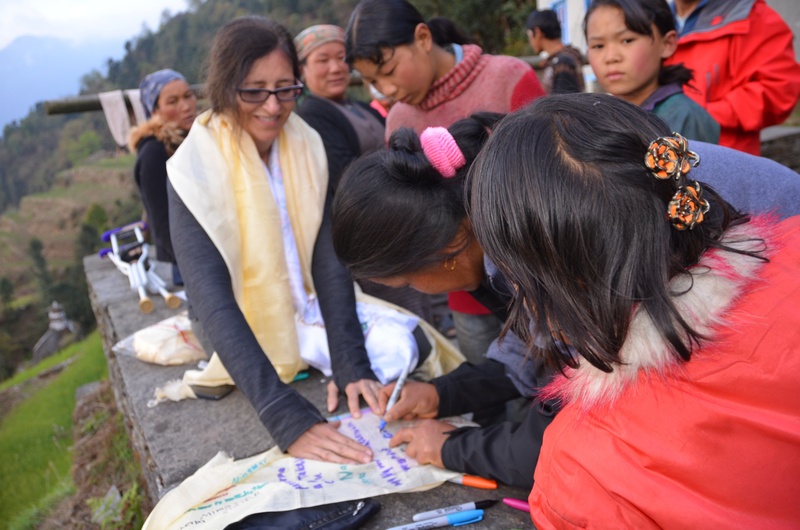 There are few places where the power of that interaction is so evident than in Nepal. Currently, Jesse works as Production Manager for a television station in the mountains of Colorado.